A baffled schoolboy has been punished by his school for cutting his hair too short – just a day after being told off because it was TOO LONG. 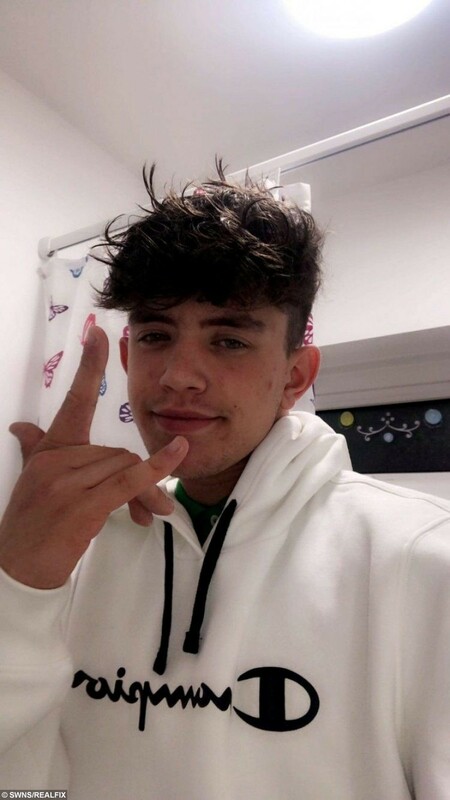 Jonathon Soares, 16, was told by staff last Monday that his haircut – which featured shorts side and a long floppy fringe and he had sported for months – was too long. 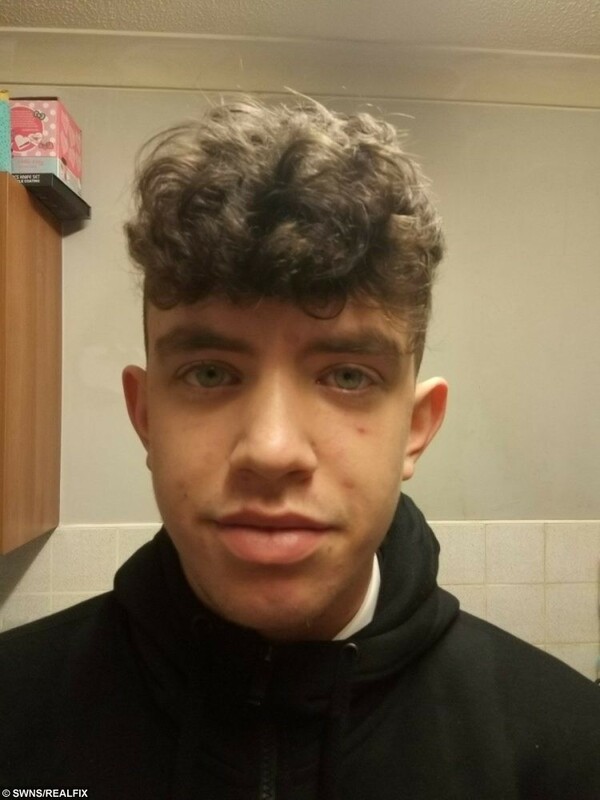 The 16-year-old student duly got a £10 trim that night at his local hairdresser and had the sides ‘shaved faded’ and the top and fringe cut shorter. However the following day he was stunned when a teacher at Great Yarmouth Charter Academy, Great Yarmouth, Norfolk, told him off for his ‘Meet Me at McDonalds’ haircut. 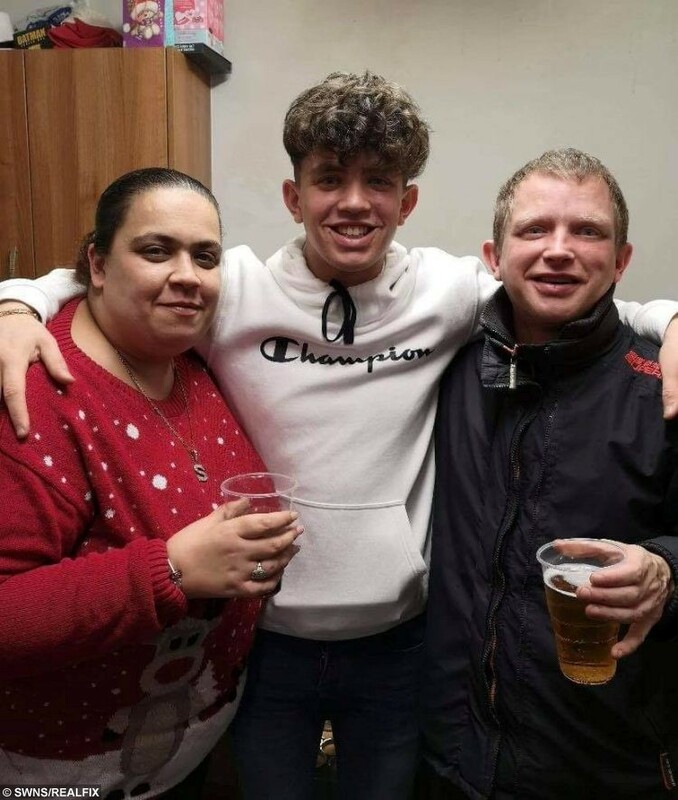 Jonathon Soares, 16 before he had his haircut pictured with mum Sophia Soares and dad Mark Johnson. Jonathon Soares, 16 before he had his haircut. The teenager, from Great Yarmouth, was punished for his new do and was put in isolation for the rest of the week – where he was forced to work alone. Jonathan’s mum was outraged by the school’s decision to isolate her son and is worried this will now effect his GCSEs – which he is set to take at the end of the year. The youngster’s hair is naturally curly and brown. The youngster’s mum, Sophia Soares, 35, said: “It’s ridiculous. “It seems to me like they are making an example out of Jonathan. “I understand that they need to have the correct uniform and look smart but there are no patterns in it and it’s not an outrageous colour – it’s just a short back and sides. The GY Charter Academy pupil now fears he may not get his place at East Norfolk Sixth Form College next year if he gets excluded in his final months at the school. Sophia added: “You should not isolate a child for their haircut. “A haircut does not stop you from learning. “He is not the only child in that school with that haircut either – it’s discrimination. A spokesman for the Inspiration Trust, who run a range of schools across Norfolk and Suffolk said pupils and parents are aware of the school’s guidelines. The Trust said: “Great Yarmouth Charter Academy’s guidelines on uniform and appearance have been well publicised, and families and pupils are well aware of the school’s requirements around haircuts. Pooch Pair Finally Marry In Dog Wedding – Officiated By Pug Vicar!